This is probably the weirdest mashup I have ever seen. I love it. 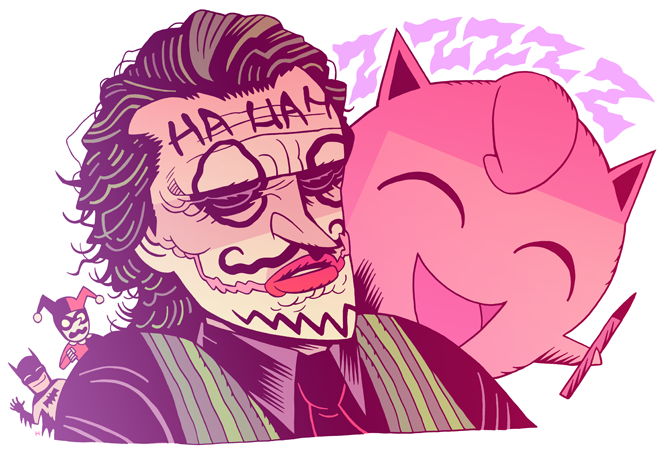 Why is Jiggly Puff defacing a corpse? ok, this is hilarious. Good job. you did a great job with the comic and it is quite funny specially the color that joker has.